Amid reports of rampant drug use and an unusually high number of concertgoers seeking medical treatment from a Skrillex concert at Navy Pier Saturday night, a pier spokesman confirmed Wednesday that more than a dozen people were transported to area hospitals. An EMS source said the majority of those transports were for drug overdoses. Navy Pier spokesman Nick Shields would not comment on that, but confirmed that 16 people were transported during the event, which ran from 5:30 p.m. to 11 p.m. Saturday. More than 10,000 people were in attendance. 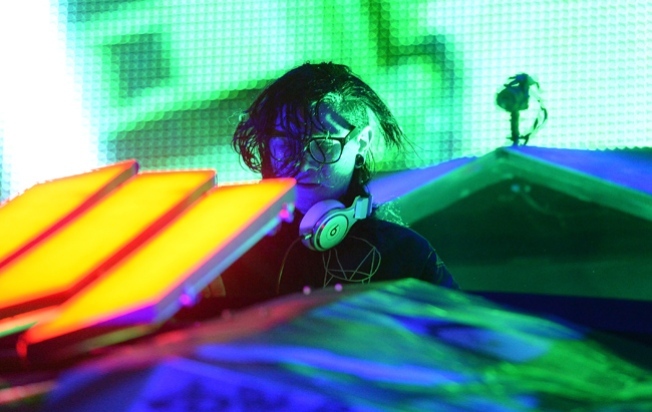 Skrillex, the former Sonny John Moore, is an electronic dance music producer, DJ, and singer from Los Angeles. Man to President: "Don't Touch My Girlfriend"
Andrew Bazos, a physician and President of CrowdRX, which oversees medical safety for SFX, the promoter of the Skrillex show, said his firm always has an emergency medical doctor in the venue. And he noted that every city has different rules about who gets transported versus those who are treated on site. "The policy in Chicago has been to take anyone who presents to the hospital," Bazos said. "We’re there for people who haven’t been smart, and safety is number one." He agreed that there are suggestions that the wildly popular electronic music genre may need to consider a higher age limit. "It has brought a young, crazier demo," he said, "but also immature." "If their parents were there, they would have gone home with their parents," he said. "It’s not fair to make the promoter take care of kids who don’t know how to behave. ... They’re young, and they’re often irresponsible." Bazos said those transported from the Skrillex concert were taken to four downtown hospitals: Northwestern, St. Joseph, Lurie Children’s Hospital, and Mercy. Zellweger: "Glad Folks Think I Look Different"
SFX, the promoter of the shows, he said, takes extra precautions to guarantee safety. Not only are private ambulances put on retainer, but he said, "peer" representatives circulate in the crowds to try and spot anyone who might be needing medical assistance. "We’re very strict at the doors so that people don’t bring bad things in," he said. "I personally think that the more that word gets out there, the better." Bazos estimated a third of those in attendance at the show were minors, and a considerable percentage of those transported were for alcohol. The genre has been the focus of criticism in other cities after some high-profile tragedies. A 15-year-old girl died from a suspected Ecstasy overdose at the "Electric Daisy Carnival" in Los Angeles in 2010. A year later, a 19-year-old died at a companion event in Dallas. In an interview earlier this year with the Toronto Sun, Skrillex admitted "problems within the subculture" of his music resulting from drug use which seems to be endemic to the crowds. "The tragedies that get reported are within a minority of shows," he said. "And although those are tragic and shouldn’t be overlooked, you can’t blame an idea for how a culture has taken it and run with it."